What Do SEO and Mustaches Have in Common? Well, that's a pretty easy question for those of you who know anything about search engine optimization. 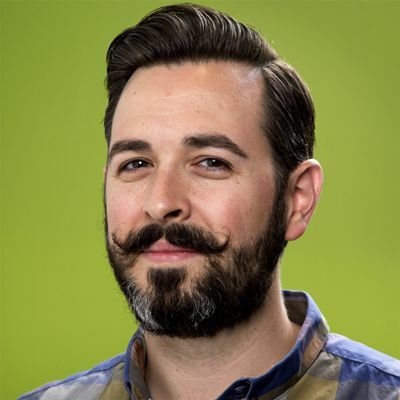 The mustache part is, of course, Rand Fishkin, one of the Godfathers of SEO. In fact, these days Rand is sporting a handlebar version that pretty much crushes other attempts at facial hair resplendence. But the real star of the show is SEO, because, contrary to popular mythology, rumors of the demise of SEO have been greatly exaggerated. In a recent Whiteboard Friday, the mustacheoed one explains it perfectly. Myth #1 - Create great content, and the rest [of SEO] will follow. Not true. Content by itself is a good start, but not nearly enough to drive significant traffic and leads from organic search. Your content must not only be relevant and helpful, but it must be so relevant and helpful people choose to pay attention to it and share it with their friends and colleagues. Then there's distribution. If your target audience doesn't see your content, consume it and share it, it will drown in a vast sea of ignored blog posts, eBooks and social media updates. Myth #2 - Technical SEO doesn't matter anymore. Not true. Your content must be highly "crawlable" by the search engines and all of the on-page factors need to be optimized. Period. You want Google to pay attention to your content and elevate its visibility? You have to do the basics first. Myth #3 - SEO boils down to just a few important factors. Not true. SEO is highly complex. Google alone has more than 200 ranking factors, and the playing field is constantly changing with regular Penguin, Panda and Hummingbird algorithm updates, and who knows what's coming next! It's not just about keywords and rankings these days. You need to understand semantic search and buyer personas to fully optimize your search strategy. Myth #4 - You don't need trained SEO specialists. Not true. Again, SEO is a highly complex discipline in itself and should not be treated as an also-ran in your online marketing strategy. As Rand Fishkin puts it so well, SEO is not a fire-and-forget process. It's ongoing, and you need to be constantly updating your website, content marketing and demand generation efforts to stay ahead of your competitors. It's tempting to assign SEO to your brand journalists, since they touch most of your content. Or maybe your web developers or marketing technologists should handle SEO, since they handle your website page creation, CMS and marketing automation platforms. There are two problems with either approach. First, SEO takes a lot of research and careful consideration to get it right, and it's constantly changing. How will writers and developers have time to do that well? Second, it's complicated. You need real expertise to do SEO well and beat the competition. Each company should have at least one expert overseeing the strategy and working with content and development teams to implement and update your SEO strategy. Bigger companies with large or multiple sites are going to need an SEO team to do things the right way. And don't forget about local and mobile search, each of which takes specialized knowledge and planning. Myth #5 - All SEO companies are crooks! Not true. You just have to be careful who you hire if in-house SEO isn't viable for your company. Do your homework before you hire an SEO company, or any other marketing agency for that matter. You want to avoid vendors that promise high rankings in a few months because, chances are, they are using blackhat tactics to get results. Here are some of the more common blackhat tactics you want to avoid. Don't just outsource SEO. You need to integrate whomever you hire into your online strategy by requiring they work with your content producers, developers and strategists on a regular basis in a highly collaborative environment. Otherwise, they may be working at cross purposes. SEO has gotten a bad rap over the past few years because of the false promises by blackhat SEO companies, the ever-changing requirements of Google and other search engines and the mythology imposed by people who don't understand SEO. Bottom line, SEO is still one of the top three drivers of traffic, leads and customers across nearly all industries. If you ignore it or treat it casually, you risk losing revenue, market share and business viability.